Have someone that you can't find the right gift for? Pick a gift certificate sothey can pick the perfect gift. - this will fit everyone, every time! Purchase in$25.00 denominations. easy to use online. This is our $25 gift certificate. 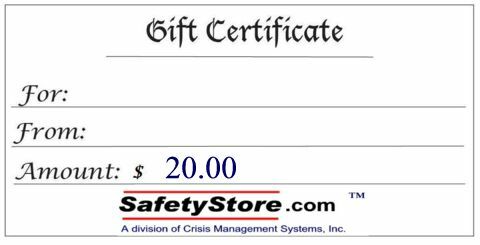 A great gift for graduation or to start someone off on the right foot with safety products for home, work or play.